Remember when the iPad optimized version of Facebook was hidden inside the iPhone app? 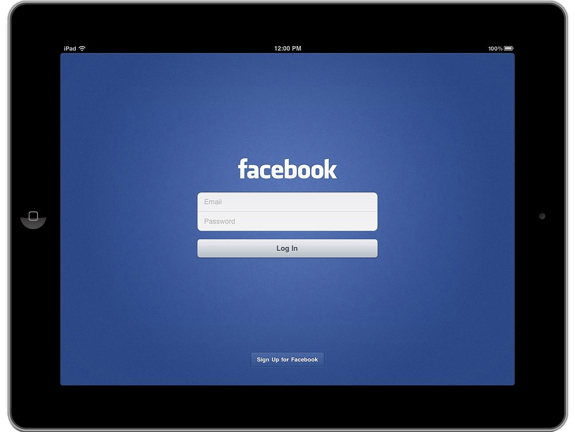 Also remember all the rumors about a dedicated Facebook iPad app coming soon? Well, it is finally here, and in my opinion, it is just fine. The app is not a separate app designed made for the iPad exclusively. But rather it is just an update to the regular iPhone app, now optimized for a bigger screen. So if you have the iPhone app installed already, you should receive an update. You do not need to install any separate app. If you don't have the iPhone app installed, you can download it from here. I won't say that this app is amazing. Unlike the beautiful, beautiful Twitter app, the Facebook app is still pretty buggy. Of course it is the first iPad-optimized version, so we should expect several bug-bashing updates in the coming weeks. Personally, I have had minor scrolling problems, notifications failing to refresh when being pulled down and some others. Also, there doesn't seem to be a way to 'Like' comments yet. I have had it for just a day, so I haven't tried out every feature yet. The app might not have released in every iTunes store yet. I got it from the US store well more than 12 hours ago as of now.